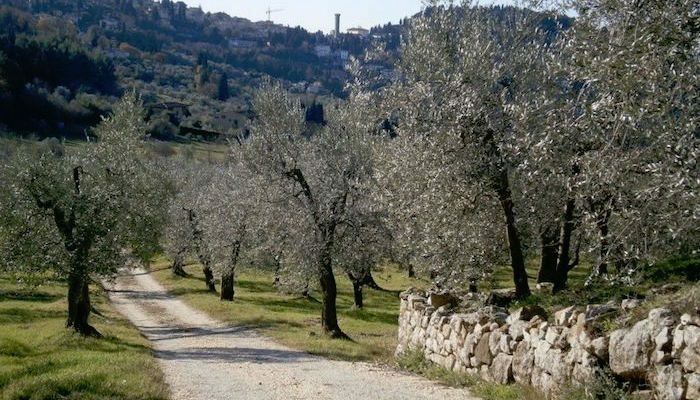 For trail lovers, the scenic paths between Fiesole and Firenze are a must-run destination. You can get in up to 17 km here, starting just outside of Florence. This unique running route combines stunning views from hilly trails with visits incredible historical places. Runners pass the ancient Etruscan walls of Fiesole straight into the heart of Florence. Though the course is hilly, much of it is downhill on this one-way route from Fiesole to Florence on asphalt and even dirt paths. A few short sections are a bit more technical, but it’s a fun introduction to trail running for non-experts. This route is best suited for a trained runner because of the distance and the hills. Thanks to Go! Running Tours Florence for their help planning this route, which is available from them as a tour with an expert guide and architect. Want to stay off the trails? Check out our Florence to Fiesole road run.